Doctors and medical practices create websites, use social media, and send email newsletters to let patients know where they are and what they do. 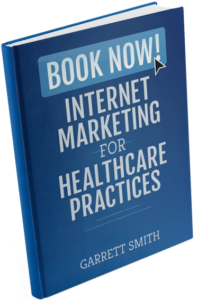 Engaging with patients and marketing to them can be done through those channels. However, video marketing has been found to dramatically increase performance metrics as well as providing ancillary benefits such as enhancing your reputation and improving patient engagement. The patient is introduced to your practice via your website, social media, referral from a family member or friend, or a referral from another doctor. In this stage patients are considering your practice. A referral is powerful whether it’s from someone they know or from a doctor. However, they are still going to look you up and learn everything that they can about you before they feel comfortable enough to call your office. The patient based on their online research makes a decision, yea or nay, about your practice. Any information that they find about you and your practice will come from a variety of sources – your website, your videos, doctor review websites, social media, message boards, etc. If the doctor, nurses, and staff delight the patient, the patient will return giving you repeat business, they are likely to provide word of mouth referrals to their friends and family, and happy patients are also more likely to go online and write a positive review of you and your practice. If you stop and think about what it would take to encourage a potential patient to take the next step in the sales funnel you’ll start to realize what video marketing actually is. Video marketing is a vehicle that moves someone down the medical sales funnel and helps to convert a lead into a bona fide patient. 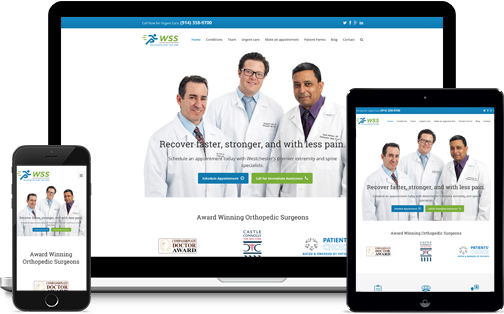 You have a website because it’s like hanging an online shingle; it’s a brochure about you and your practice that anyone can access at any time. Video marketing is your opportunity to impress a patient and convince them to click that “Make An Appointment” button on your website. In the action stage of the funnel before the patient makes an appointment, video makes it a lot easier for you to educate them and prove that you are capable of handling any problem that they have. INTERESTED IN USING VIDEO IN YOUR PRACTICE? Using video is important for a variety of reasons. On one side of the coin video can boost your website and marketing metrics and on the other side it’s a great way to educate and build trust. To sum it up in a sentence, video helps your website and marketing efforts by increasing engagement. Videos are a prominent, eye-catching piece of real estate in any format that you use them – website, landing page, email, or social media – which will always encourage more clicks and more interest. In this way video becomes an automated patient lead generation tool by helping to convince patients to fill out a form whether it’s a contact us form, make an appointment form, or any gated downloadable resources that you may have a on your site like a medical guide or eBook that you’ve written. Wistia, a video hosting and analytics company, has the ability to embed forms directly in their videos and they have “noticed that videos with a form within the first 20% of the video received a 43% conversion rate” in their video marketing automation studies. However, according to the survey and Socialmouth, only 23% of marketers are even using this tactic of embedded videos in their email marketing campaigns. There are times when people just want or need to read something to gain an understanding. Other times video can be the best way to explain and communicate complex concepts and processes like a surgery. They can easily increase patient’s understanding of what action they need to take. For example even a simple, routine outpatient procedure can seem daunting to a patient if they are confronted with a big page of content on your website when they’re trying to learn about it. A brief two minute video with the doctor explaining the procedure on the other hand, can condense that webpage full of text and quickly convey the concept with images or a demonstration. Patients may find it daunting if they are presented with a lot of reading material just to learn about you, an injury, or service that they provide. Smartphone users like video as a quick way grasp an overview, for example. Another very important reason to use video instead of, or in conjunction with, written content is that video helps to build trust. Video is one of the best ways to capture someone’s attention. Back in 2005, Jennifer Aniston was the subject of a seminal piece of research conducted by neuroscientists at UCLA and Caltech. They showed pictures of Jennifer to patients with epilepsy while they were undergoing surgery. During this surgery (which is done while the patient is awake) neurosurgeons implanted electrodes to measure electrical activity associated with seizures…As they showed the patients pictures of Jennifer, some brain cells in this area went crazy. These cells were coined “Jennifer Aniston cells,” as they responded to her face, and only her face. Pictures of random objects: nothing. Pictures of other people: nothing. Pictures of Jen’s whole body: nothing. These cells were only interested in Jennifer’s face. Now, we can’t all look like Jennifer Aniston (it’s been reported that her health and beauty regimen can be measured in the hundreds of thousands of dollars) but main takeaway here is that video will humanize the patient experience, put a face to the name, and build trust and familiarity. Now that you why you should use video marketing we’ll explain the different types of videos that you can create. This is a great place to start as it will help you align the purpose of your videos with a targeted category. Corporate videos are branding, meant to create a perception about the practice and generate awareness and can include videos of internal training, company events, speeches and anything that speaks to the culture of the practice. Marketing campaign videos focus on the products and services that you offer and could resemble more of an advertisement that includes demonstrations and how-to’s that encourage patients to “buy” from you. Content marketing videos tell a story with educational, entertaining, or thought leadership content that include a call to action that asks patients to subscribe to your content or attend an open house in your office. Once you have your basic video framework in place with a targeted approach and some goals in mind, you can then take a deeper dive into the specific videos that you want to create. With a combination of these various types of videos you’ll be able to showcase your expertise and build trust with your patients as they get a chance to know you and what you provide before they even make an appointment and visit your office. Sharing what you know and highlighting your office through video reinforces your branding efforts and can set you apart from your competition. If you know that you provide an exceptional patient experience from the moment they step into your comfortable office, to the welcoming staff interactions, to your expertise and warm bedside manner then why not show that off with a few videos? Whether you hire a professional, your aspiring filmmaker nephew, or you decide to shoot the video yourself you’ll want to keep these tips in mind to get a good finished product. Even the best video content can be killed by poor audio, bad lighting, and sketchy video quality. Even if you hire a pro, don’t settle for something that doesn’t sit right with you know. Maybe you don’t know the particulars of what makes a great video but, you know it when you see it – go with your gut. Amateur video looks surprisingly polished these days so you don’t have to spend a lot on equipment. In the right hands a few strategically placed lights, a good microphone, and an iPhone might be all that you need. Act naturally: You’re a real person, act like one and you’ll be perceived as relatable. Brevity is the soul of wit: Short videos are best, people have short attention spans. Get to the point: See brevity above. Be brief and get to the point right away, skip the lenghty intro. Include a Call to Action: You’ve got their attention, now keep it. Encourage them to take the next step by visiting your website, making an appointment, or subscribing to more of your content. Brand your video: This not only informs viewers who is speaking to them, it will give all of your videos a consistent look and feel. Add music: Depending on the type of content, background music helps to entertain, captivate, and provide flow for the imagery. Optimize for mobile use: Just like your website, make sure videos are optimized for playback on multiple mobile platforms. Include captions: This is a good strategy to help optimize your videos for mobile. Captions allow viewers to watch your videos in noisy environments (on the subway) or quiet places when they don’t have headphones (at the library). The visual aspect of captions highlight important points and give people quotes to share on social media. Don’t use your camera’s built-in microphone: If you’re going to spend money on one thing, make it this – get a good wireless lapel mic or shotgun microphone. Viewers are less forgiving of poor audio than anything else. Tell a story: If you can evoke an emotional response froma viewer (laughter, fear, reassurance) you’re more likely to get them to take some kind of action. Include a transcript: A full transcript of the video copy is good for SEO – it helps search engines index your content. It also helps to reinforce your message to viewers, allowing them to read what they just listened to and watched. Think of questions that your patients would ask: Know your audience. You’re not presenting a study to a symposium of doctors. Think of the FAQ’s your hear from your patients. To script or not to script: On one hand you don’t want to sound like a robot, on the other you don’t want to appear unprepared. Even if you’re great at speaking off the cuff, at minimum you have an outline of what you’re presenting and stick to it. Editing is your friend though, anything can be taken out that doesn’t quite fit. You know what video marketing is, why it’s important, what types of videos you can create, and you have some guidelines on how to capture your the attention of your audience and get the most return out of your video content investment. Now that your video is edited, perfected, and ready to share with the world there are a number of different places and platforms that you can distribute it on. Landing Pages: Specialized landing pages with a video that explains specific offers or treatments that you direct patients to from email newsletters, social media, or other outreach efforts. FAQ Page: Frequently asked questions are perfect topics to create videos around. A short 1-2 explainer video is easily digestible for patients and can replace long-form text. Treatment and Condition Pages: Instead of trying to fully convey a procedure through writing, a video with demonstrations, anatomical models, or images can quickly provide a description. Blog Posts: If you maintain a blog, your videos can be reused again and again to augment the ongoing medical topics that you write about. 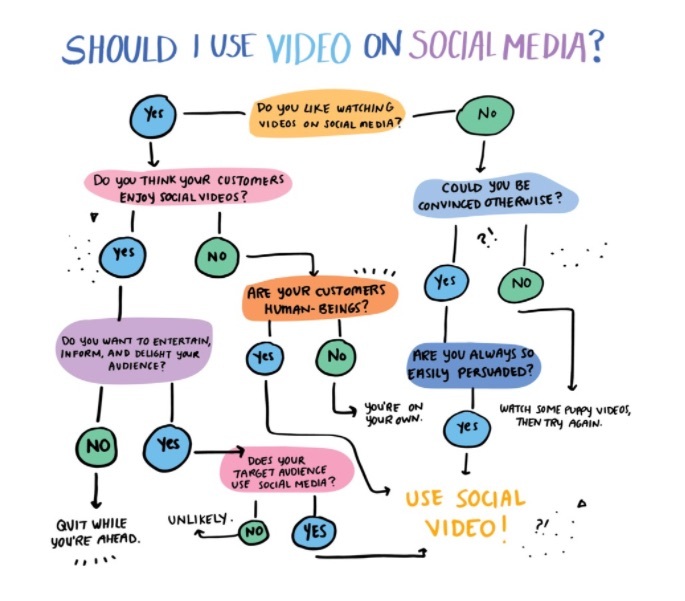 Social media is one of video’s natural habitats. People love sharing videos. Top surgical videos get millions of views from social sharing. Even local practices can benefit with views in the thousands from dozens to hundreds of social shares. The trick is finding the right social networks to focus on – Twitter, Facebook, LinkedIn, Instagram, Snapchat, YouTube, and on and on. There are too many to list. Monitor your profiles and see where you get the most engagement from patients. Focus your efforts there if you have limited time. It doesn’t hurt to maintain a presence on several platforms which can be made easier with bulk publishing tools like Buffer. 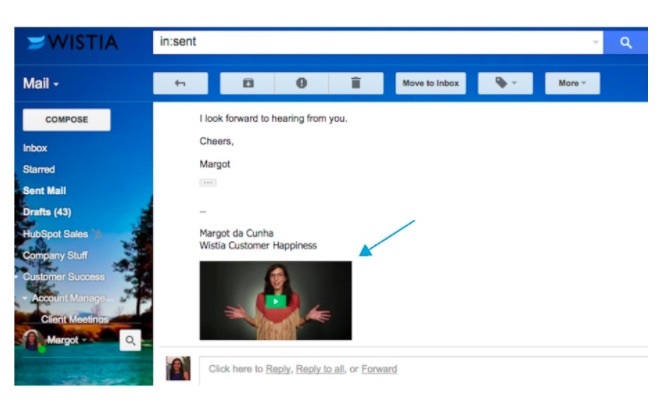 One place that you may have overlooked to include is your email signature. Obviously, doctor to doctor emails don’t need this kind of marketing but, emails to patients from staff (reminders, updates, etc.) can benefit from this. With an 80% average engagement rate, 87% play rate, and over 100 plays, it’s pretty phenomenal to see how impactful this video is, and how many people actually take the time to watch the entire video. Not every marketer uses embedded video in their email campaigns so this is an opportunity to differentiate yourself from your competitors. Depending on your needs and budget, you don’t have to rely on YouTube. Some platforms will you give you an unbranded video player that you can still embed, share, and use wherever you want but you’ll have a monthly fee to use the service. Some video platforms will give you enhanced analytics to for more detailed engagement and ROI tracking. Other platforms offer enhanced calls to action that are embedded in the video experience. If you have specific demands, there are many options to choose from. Celebrity doctors and internet famous doctors can garner upwards of millions of views for their videos and even millions of subscribers on their YouTube and Instagram accounts. No one expects you to compete with that. In your local market you can expect to be very successful with thousands of views, hundreds of subscribers, and dozens of shares on social media. These are some doctors that are doing video right, sharing information about procedures and medical questions while sharing their own personality, giving patients a chance to get to know them, and encourage them to make an appointment. Probably one of the most doctors on the internet today. Notice how Dr. Sandra Lee has branded herself as the unforgettable “Dr. Pimple Popper.” Her videos get millions of views and she has over 2 million subscribers on both YouTube and Instagram. Her videos are not fancy. I use the word “simple” cautiously because there’s an art to simplicity however, the videos are shot in her exam room and focus on the procedure with a running commentary from Dr. Lee. The video description contains a little bit of background information on the case and links back to her website. Her videos are so good that people travel from out of state to make appointments with her. Beverly Hills dermatologist and author of “Heal Your Skin: The Breakthrough Plan for Renewal,” Dr. Ava Shamban provides skin care advice in her “Dr. Ava Says” video series. You’ll notice in this screenshot that Dr. Ava employs images to make her point about lip injections. If you watch the entire video you’ll see how she uses detailed, up close illustrations of the layers of skin to further demonstrate and explain the procedure. New York City dermatologist Dr. Neal Schultz runs BeautyRx where he provides professional glycolic facial peels and his own line of skincare and beauty products. In his video example, “Why You Should Remove Cysts,” he explains that one of the most common benign growths that patients show him are cysts. This common problem has given video over 1 million views as of this writing. In the video he simply explains why these growths should be used and as you can see in the screenshot above, he’s just sitting at a desk using a diagram and a pointer. You’re videos really can be this simple and yet be so helpful for people that are looking for information. You’ll also notice a blue box in the top right corner that says “Subscribe for More Skin Care Tips.” This is something that YouTube allows you to add. Clicking on that popup takes you back to his YouTube homepage so that viewers can subscribe – this is one way to continue marketing to patients advantage of the opportunity you have when they are engaged with your content. This is a full on live demonstration of how dorsiflexion affects squatting, running, jumping and more. The video shows how to test and how to improve this motion. Can you imagine sitting down to write about this? Doing a show a tell video like this will save you more time in the end and it is something that you can always point your patients too if they have questions or concerns. Contrary to what we’ve said about short, quick videos, this one is a little long, clocking in at over six minutes. But if the content is engaging and it solves a problem, it’s likely that many viewers will watch the whole thing. And if they don’t that’s fine, they’ll take what they need from it and because it’s so educational you can expect people to come back for more. When you invest in videos you own the content that you produce. Not only are you demonstrating your expertise with authoritative content that builds trust but you have free reign to use these videos with every marketing tactic that you can think of. You can share videos from your peers at the American Academy of Orthopaedic Surgeons but, your patients don’t want to just learn about a procedure or simply have a question answered – they want to learn about you too.